We’re very happy to be sharing this picture! 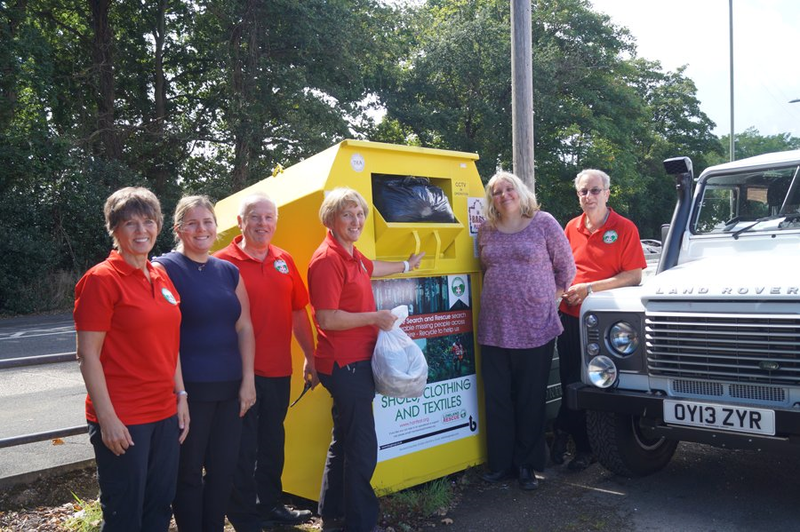 Thanks to your generous donations of unwanted shoes and clothes to our banks located around Hampshire the Hampshire Search and Rescue have finally been able to replace their old 4×4 vehicle with a fully equipped Land Rover! The Hampshire Search and Rescue provides professionally trained volunteers to assist the police in searching for missing and vulnerable children and adults throughout Hampshire – 24/7 – without any external funding. Since the beginning of our partnership 12 months ago we have raised close to £40,000 enabling the organisation to purchase the new vehicle way ahead of their schedule. “Our partnership with BIU has given us the financial ability to purchase another Land Rover well ahead of the anticipated date. Through the clothing donations into the textile collection banks by members of the public we again have the additional off-road capability, so important in the work we do. The support given to us by BIU was, and continues to be, invaluable and the ultimate beneficiary is the community as a whole. Thank you BIU!” said Trevor Vidler, Public Profile Officer, Hampshire Search & Rescue.